Autel AL519 Review – A great budget-friendly choice with limitations. 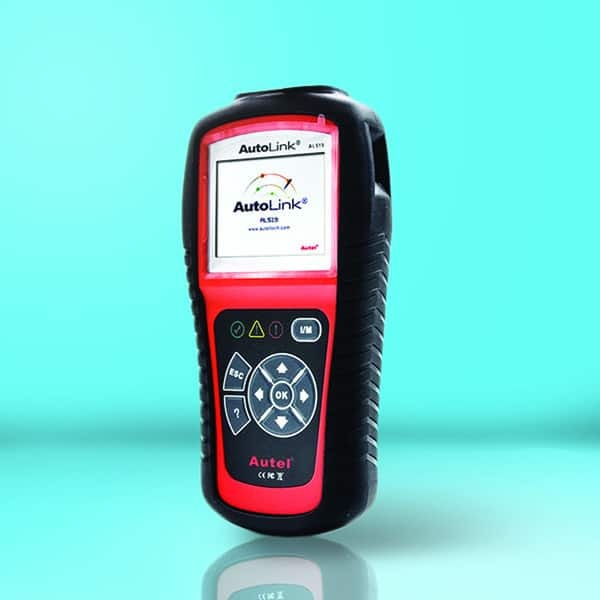 This simple-to-use scanner looks over your vehicle and provides any information needed to get it fixed, or clear out minor issues. You'll also be able to turn off indicator lights when they aren't representing an issue that you need to get fixed right away. Many people find that it comes at a great price and outperforms much more expensive models. ​This scanner is easy to hold and use. You can grip the unit with one hand and hold it ergonomically. The 320 x 240 dpi screen shows you everything in colorful detail while the menu buttons are clear and easy to use. ​The unit connects to your vehicle with a USB cable to read the engine. The unit also connects to the battery of your vehicle, but also features a backup battery should the engine cut out or need to be turned off. There is a lot of functionality contained in this unit. The scanners set up so that many quick checks can be performed in seconds, including checking the drive cycle and the emission readiness. It is also extremely easy to find the vehicle information, such as the manufacturer information, pending codes, and VIN, CIN, and CVN numbers. A useful function of any vehicle scanner is the ability to turn off the indicator lights when a part of the system is malfunctioning, and this scanner can do exactly that. It can also clear the error codes and reset the monitors. It is also able to read live sensor data and view freeze-frame information. ​The unit is small and portable, allowing you to take it anywhere with you. You also have options for language when using the menus. The scanner is also updatable, and you can do a quick update by hooking the scanner to the internet through your home computer. ​A big part of any scanner is to save you money. This device falls in the medium price range for scanners, so it is not the cheapest on the market, but it is not the most expensive either; this is a scanner which will save you money. The number of diagnostics you can run rival that of a me-chanic. The device will also suggest what the problem is and how to fix it. While the scanner may not be right 100% of the time, the suggestions are suggestions, and the scanner is right a lot more often than not. Avoiding diagnostics by a trained professional is going to save you money, and the fact that you can often fix the problem by yourself will save you even more money. ​While the scanner has a backup battery, you will mainly use the device while hooked up to your car engine. This means that you never have to worry about batteries running out and having to replace or charge them. The software on the device will allow you to capture screenshots so that you can review prob-lems on your home computer. The software will also not affect the systems in your vehicle. When error codes are being read, and issues are being corrected, the system will not be changed by the scanner. While screenshots allow you to check problems on your home computer, the device may not be compatible with operating systems which are not Microsoft Windows. This scanner does not use Wi-Fi or Bluetooth. You need to connect to the system through a cable, so you can feel limited with where you can use the device. You cannot walk around your vehicle with your device. There have been problems found with updating the device. While the device is programmed to deal with all vehicles from 2006 on wards, there are some vehicles which are just not compatible. Users have also found that when it comes time to update the device, there is not a lot of support from the company, though there are promises that updates are coming soon for the software. This device is built on functionality and portability. You can diagnose your engine and anyone else’s. You have the benefit that you can carry this device around with you without it taking up too much room. The device is also easy to use and use. The device will work on almost any car, but you may run into a few which are not compatible (even though they should be). This is not a high-end device, so you will not solve every problem with it, but at the price you are paying, you should not expect to be.